Out of the vast number of makes and models out there, one that remains iconic and easily recognizable is the Jeep Wrangler. It is pretty easy to spot them on the road and place a brand with the look. Today, we’re going to spotlight this make/model and give you the details on everything that we offer for this adventurous vehicle. This compact and mid-size vehicle hardly needs an introduction. The off-roading, four-wheel drive vehicle is known to be an explorer’s best friend. Owners take pride in the mud streaks and performance parts that they can upgrade their Jeep with. The Jeep Wrangler is a descendant of military vehicles produced during WWII. The first Wrangler was announced in February 1986 at the Chicago Auto Show. It was revised 10 years later in 1996 and then got a redesign a decade later in 2006. Since then there have been various revisions and corresponding program code names. 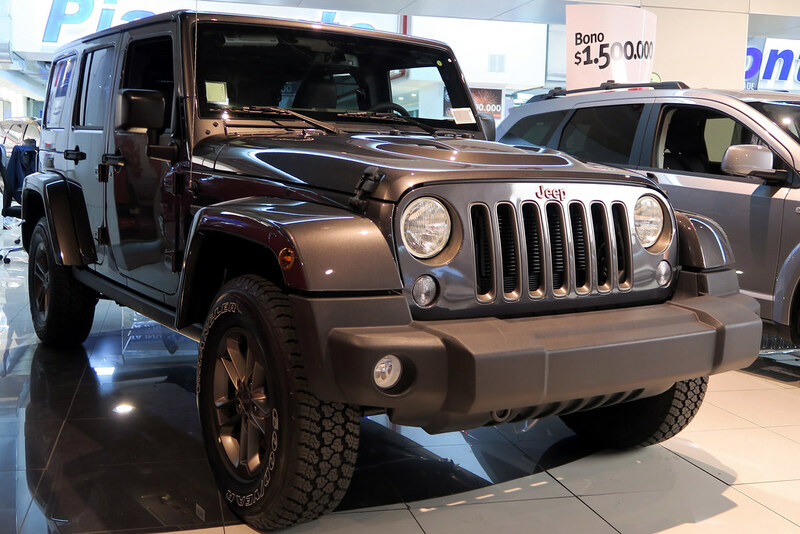 The current “JK” Jeep Wrangler came about in 2007 as the third generation Jeep Wrangler. The upcoming generation will begin production in September 2017 and be known as the “JL”. It will be offered in a convertible SUV and pickup truck. Jeep owners know that their car is going to get dirty. Sure you can stay clean and stay on the paved road but that really is not the point of owning a Jeep. A Jeep is for off-roading, trail driving, and getting you to the places that roads can’t. So a Wet Okole seat cover is a smart decision. For Jeep Wranglers, you have the option to choose from standard, half piping, full piping, RealTree, or a patterned seat cover. Once you select the style of seat cover, you’ll have the option to choose to cover front, mid, and rear seats. After that you’ll begin to choose your color options. If you went with full piping, you’ll choose a main seat cover color and a piping color for your front bucket seats as well as the rear jump seats. Alternatively if you went with the RealTree option, you’ll be given a handful of great hunting camo options for a variety of seat options. Once you’ve picked out your color choices, you can choose to add a logo to your seat covers. Choose from free Wet Okole options or an option from the custom graphics catalog. Then, choose the color of your logo to perfectly match your seat cover. You can also forgo a logo option altogether. Once you’ve completed this section you’ll then have the option to add accessories to your purchase. Since you’ll likely be getting your Jeep Wrangler car seat covers pretty dirty, it is probably a good idea to add on some of our cleaning accessories. ← Introducing the New WetOkole.com!